It’s pretty easy to take a few preventative measures to ensure that your ride is safe. This resource discusses how thieves pinch bikes, our advice on the different types of locks available and we’ve even thrown in some handy locking tips too. How Do Thieves Pinch Bikes? By opportunity. 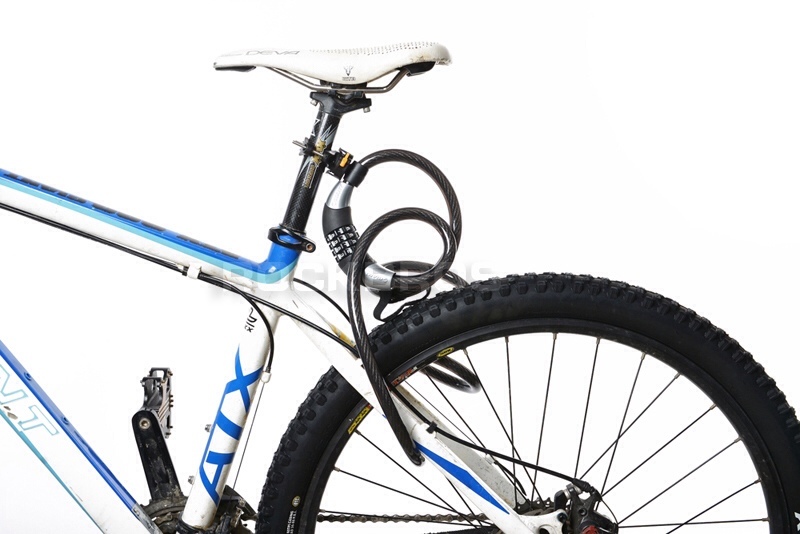 If you leave your bike unlocked for more than a few minutes somewhere, it’s quite possible that it will go missing! 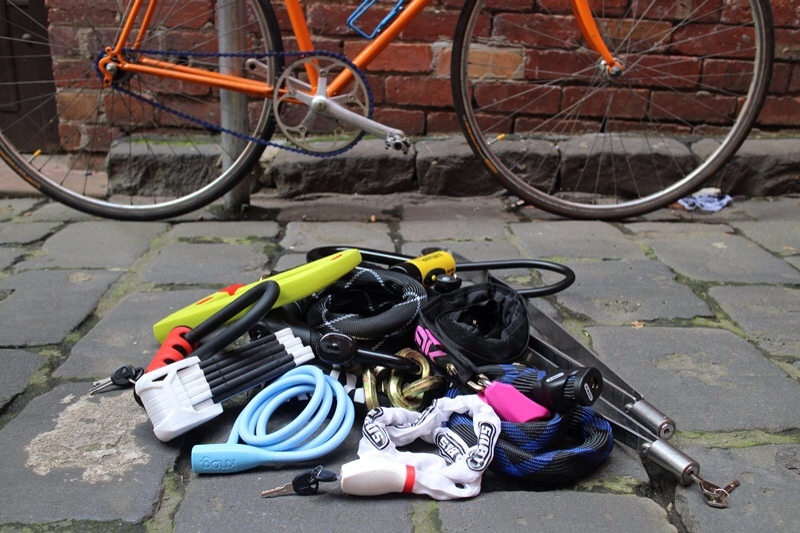 At the bare minimum, it makes sense to fasten your bike with a lightweight cable. Using hand tools including hammers, chisels and hacksaws. Basic hand tools will get through most cable locks, padlocks and locks with basic locking mechanisms. Using bolt cutters. The most common tool used by thieves as it only takes a few seconds to snip through a cable and nab a bike. Using ice spray. When cooled to -25°C with canned air spray (actually the compressed chemical difluoroethane), even very tough locks can become brittle enough to smash open with a hammer! This isn’t a common technique, but is heard of all over the world. Using portable angle grinders. In order to cut through most high end locks, you need big power tools. Angle grinders can be muffled with material, and sparks can be contained with, believe it or not, plastic bags! If a thief priorities time, special stone grinding wheels can be used (they’ll wear out after a few hits) but can cut any d-lock in under a minute! Using hydraulic bottle jacks. It is possible for thieves to open locks with hydraulic jacks which slowly open inside a shackle until something gives. Bikes are often stolen in less than a minute and sold on within 24 hours. Unsuprisingly, city areas are the most likely place your bike will go missing, and bolt cutters are generally the tool of choice. If you own a lock that isn’t able to be cut with bolt cutters, that’s a great start! Think of a cable as a slight deterrent, and nothing more. They are really handy to use, but you can cut a cable lock with very basic hand tools. In my mind, bikes locked with cables are pretty much an invitation for thieves to take them… they’re that easy to break. That said, it is possible to buy cable locks that are hand tool proof: silicon encased cables and nylon sleeves make some cable locks much harder to cut. D-locks are by far the strongest lock option, however what you can secure them to can be very limiting, especially in areas outside cities. 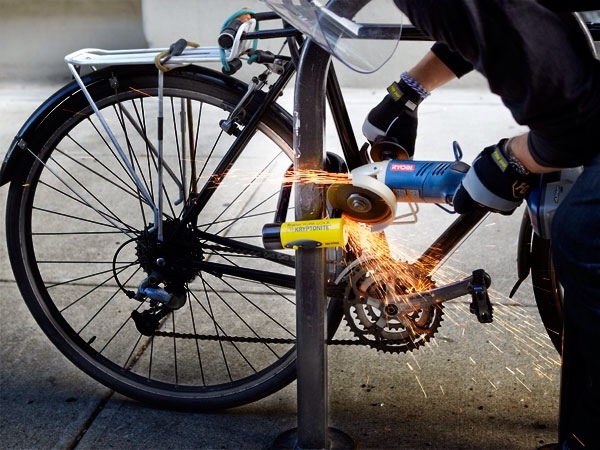 Most high-end d-locks require you to cut both sides of the shackle with an angle grinder, which generally takes between one and four minutes to achieve. Smaller d-locks are actually harder to cut as there is less space inside the d-shackle to work tools without risking frame damage. Hardened chains are the most versatile lock, given how much you can manipulate them, however they do come with a weight penalty: the strongest chain, the Kryptonite New York tips the scales at 5kg! A portable angle grinder can deal with a chain relatively quick, the strongest chains are cut in between 45 seconds (1365g lock) and 90 seconds (5000g lock) with an angle grinder. We use a folding lock and find it to be a good balance between strength and flexibility. It’s folding nature allows us to store it on our frame, and opens up to a 90cm ring, which we even find good for some telephone poles. 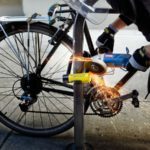 It is sizeable enough to deter most thieves, although compared to similarly weighted D-locks and chains, it isn’t particularly strong (21 seconds with an angle grinder will do it – shh). 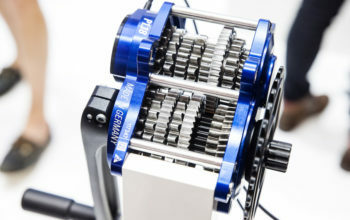 This unique lock has the ability to lock both wheels and a bike frame, with d-lock strength (well 38s and an angle grinder will do it) in a sub-1000g package. Only an angle grinder can break the 125 free. It’s impressive, but will have to be velcroed onto your frame given it’s length. 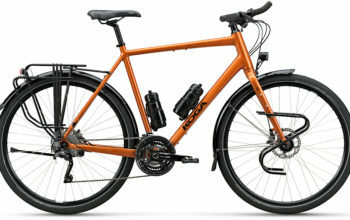 Like a d-lock, the TiGr is also quite limited as to what pole diameter your bike can be locked to. It’s important to remember that if a thief wants your bike, they will be able to steal it, and four minutes is the longest it will take to achieve! 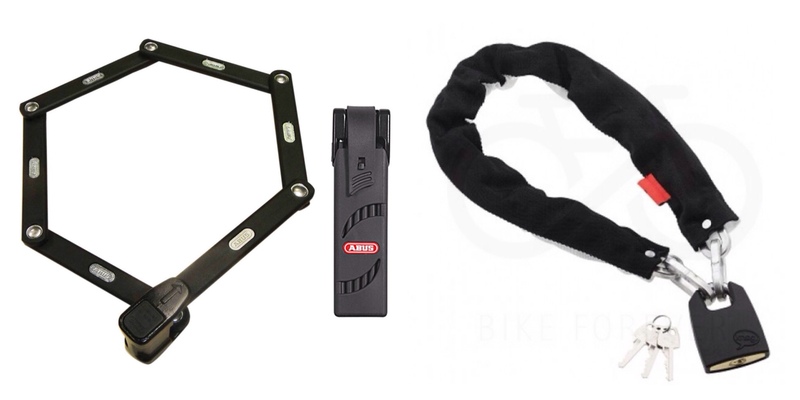 What I’m saying is that a lock is only a minor consideration in keeping your bike safe: you need to look to more than one measure to protect your bike (see locking tips below). 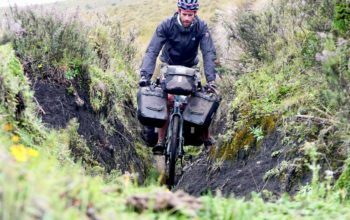 Through most parts of the world we’ve travelled, we wouldn’t have got away with using a d-lock, as we really didn’t have much to lock to. In fact, the 80cm we had to play with was often not enough. 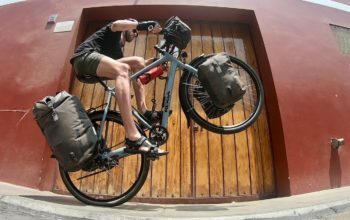 So for that reason, we don’t think d-locks are the best solution for long-distance tourers, despite their obvious strength advantages. 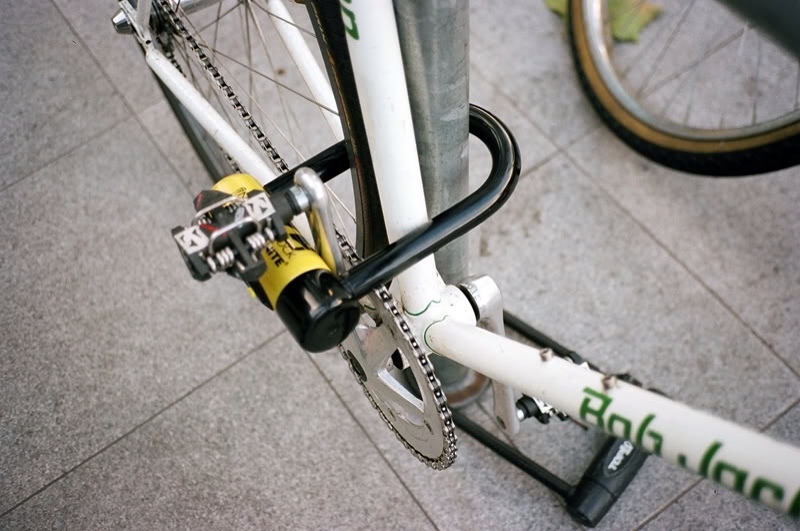 That being said, if you’re travelling city to city and know that there will be adequate cycle infrastructure for d-locks, we recommend going this option as d-locks are brilliant deterrents to thieves. On the topic of deterrents, we believe that big and chunky-looking locks are possibly more important than the strength itself. Why? Well, if all locks can be broken in a relative short time, you want to make your lock at least look like it’s going to pose a challenge! Abus Bordo Folding Lock. 1220g for the 90cm model and case. We use this lock, and love the way it folds into it’s small case and lives on our bike frame. 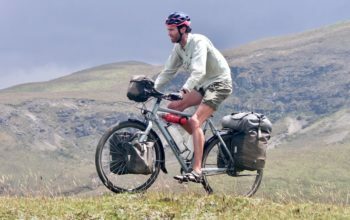 When riding without panniers, we never have to think, have we got the lock? Sometimes it would be nice to have the 120cm model (1400g) to wrap around larger objects in cities. Knog Straight Jacket Fatty Hardened Chain and Padlock. 1365g. This hardened chain takes twice as long to cut than the Abus Bordo, however it doesn’t have the convenience of mounting to your frame. The price of decent quality chain/padlocks ($32 USD in this case) is significantly lower than most high end folding or d-locks which makes them a very attractive to those on a budget. 1. Lock your bike in the busiest location possible. Although bikes go missing in the middle of busy cities all the time, if there is more foot traffic, your bike stands a much better chance. 2. Lock to something stronger than your lock. You may have the best lock, but tying it to a wire fence renders it useless! Always lock your bike to something stronger than the lock itself. 3. Lock in well lit areas. If there are lights over your bike, it will literally put thieves in the spotlight, making the job riskier. 4. Avoid locking to street signs and parking meters. Street signs can often be unbolted from the ground. It’s also possible to hoist bikes over signs. Always check out whether the post you lock to is secure. 5. Never lock your bike on the end of the bike rack. If you can avoid it, keep your bike locked in the middle. Your bike will then be less visible to thieves and harder to access once the bike rack is full. 6. Don’t lock your bike at the same place for days on end. 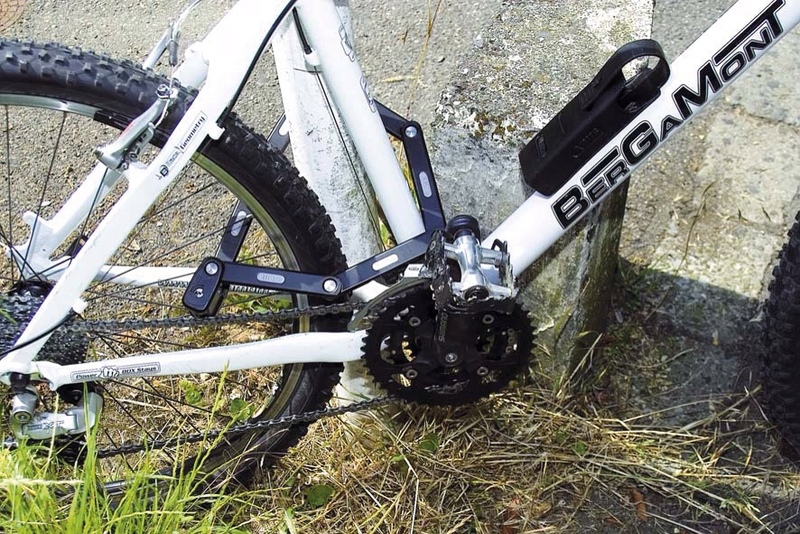 Professional thieves are known to keep an eye on what time bikes are locked and unlocked in certain places. 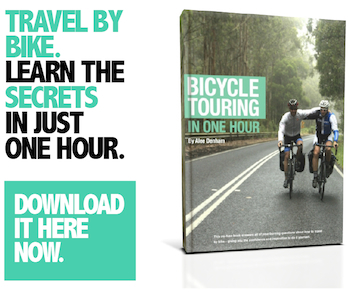 If they know you won’t be around for the next eight hours, and you don’t report a missing bike until nine hours later, they have a better chance of selling before it is reported. 7. Use pit locks on your wheels. Pit locks require a special tool to take wheels out. Thieves who take wheels are unlikely to carry the right tools to take off with your wheels. 8. Lock your wheels and frames. 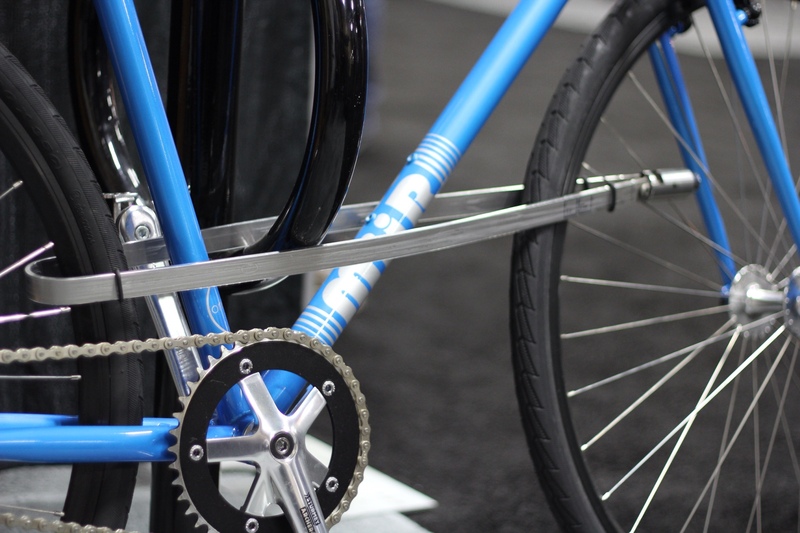 If you use quick release wheels, make sure to always lock your wheels (with a cable at minimum) as well as your frame. It’s never cheap replacing a wheel or two! 9. Make your bike distinctive (or ugly). Bright colours, stickers… whatever you like. Make it different and easily recognisable and it will both deter thieves (harder to sell) and it’ll be easier for you to identify. 10. Lock your bike in front of CCTV cameras. Camera deter thieves somewhat. Simple as that. 11. Always lock your bike to something. Locking your bike to itself can still invite people to pick your bike up, and throw it into a van/truck/ute. 12. Check on your bike regularly. If your bike does get stolen, you’ll be able to report it sooner and it’ll have a better chance of recovery. 1. Always bring your bike inside your hotel. We often don’t stay at hotels if they have no secure place for our bike; it’s just not worth the risk. 2. Offer a small amount of money for someone to look after your bike at tourist attractions or shopping areas. We often ask restaurants or shops to look over our bike if we have to step away for a while. 3. Lock your bike to your tent when camping. We’ve had curious locals touch our bike at night when we’ve been camping before. As soon as the bike is touched, it shakes the tent. 4. Lock your bikes together if you only have one lock. It’s harder to get away with two than with one. 5. Use an easy to identify bike. Paint your bike a bright colour. Put stickers all over it. It’s always nice to be covered by insurance, although not so nice dealing with them. I find insurance is good for our piece of mind. Ride On Lock Test 2013 – This is where our lock cutting times are sourced, check out this resource for information on many more locks. 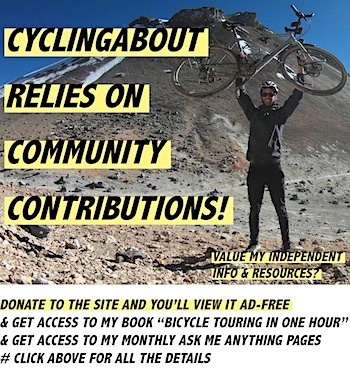 Tips from a bike thief to stop him succeeding – More locking tips. 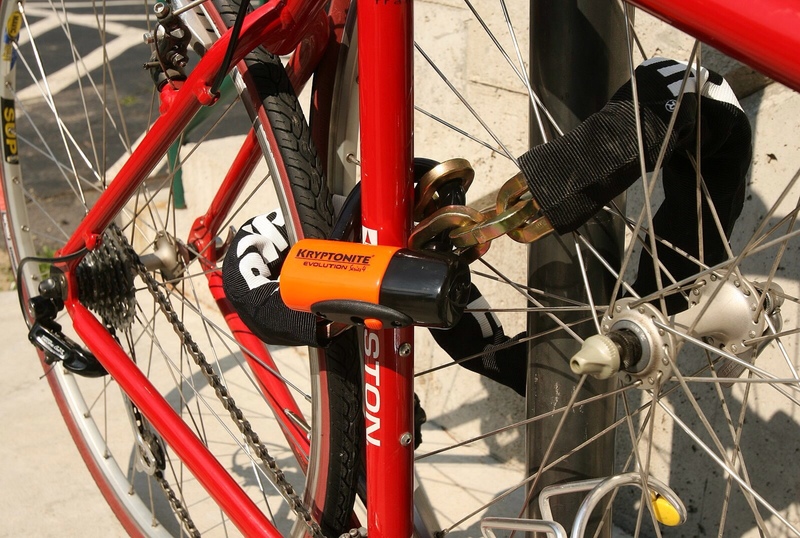 The Best Bike Lock – More on locks and advice from thieves.